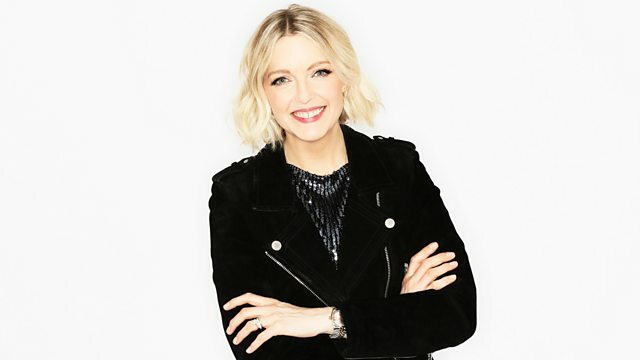 Lauren Laverne launches The Wow Signal - a new weekly feature where a listener will have their message and song of choice beamed to the stars via a radio telescope in Suffolk. On the night of August 15th 1977, just a few hours before Elvis Presley died, a radio telescope in the US state of Ohio called The Big Ear picked up a signal from space that to this day is still unexplained. Named 'the wow signal', after the scribbled 'wow' scientist Jerry Ehman wrote on a printout of the high intensity burst, over thirty years on many people still think this could be the closest planet Earth has come to receiving an artificial message from outer space. Well now it's our turn. Today Lauren Laverne goes where no DJ has gone before - by beaming a message into space. Each week from now on in, Lauren will invite a listener or guest onto the show to send their very own 'Wow signal' to the stars, which will take the form of a five minute burst of music and greetings. Using a radio telescope in southern Englansd, the signal will be beamed live via 6 Music towers to a star system of your choice.no joke (disclaimer - stars and exo-planets have to be in the northern hemisphere and available for beaming at the designated time). It's a chance to send a message to the stars and to get the listener thinking about this most profound of subjects - what message would you send to our space brothers and which song would you want to represent our finest Earth based art form? The Sky At Night's very own Paul Abel will be on hand to guide people through the universe, offering a helping hand when it comes to choosing an area of space to send the message and online a starchart will update each week documenting how far your message has travelled and the time it will take for it to reach it's destination (very likely hundreds or thousands of years). A digital concept and all done in the spirit of communication, first contact could be yours.